We believe in the power of sport to change children’s lives. That’s why ChildFund and World Rugby are joining forces for Rugby World Cup 2019 in Japan. Together we will help children from developing communities in Asia to learn essential life skills through ChildFund Pass It Back, and assist with emergency relief efforts in disaster-affected areas in Japan. 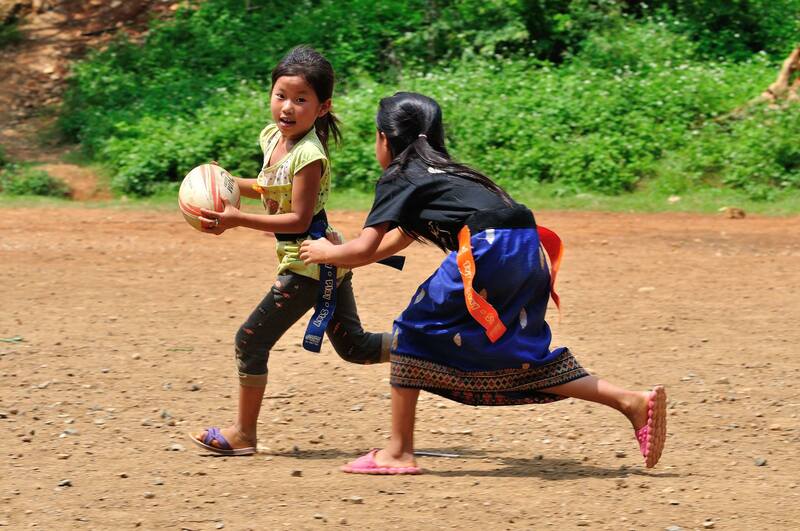 Your generous donation will give disadvantaged children in Asia the opportunity to play, learn and grow. ChildFund Pass It Back is implemented in Laos, Vietnam and the Philippines, where we place a focus on disadvantaged communities. With global recognition as a best practice Sport for Development program, we hope to expand the program across Asia and beyond, so that more young people can enjoy their right to play sport. with over 1.8 billion people aged between 10 and 24. Many of these children lack the opportunities, knowledge and skills to succeed in a rapidly changing region. Why is World Rugby partnering with ChildFund for Rugby World Cup 2019? Linked to the objectives of its Spirit of Rugby programme, World Rugby recognises the important role rugby has in fostering societal development and has a proud history of leveraging the global reach of its showcase tournament, Rugby World Cup, to engage fans and support programmes which use rugby as a tool for positive social change. 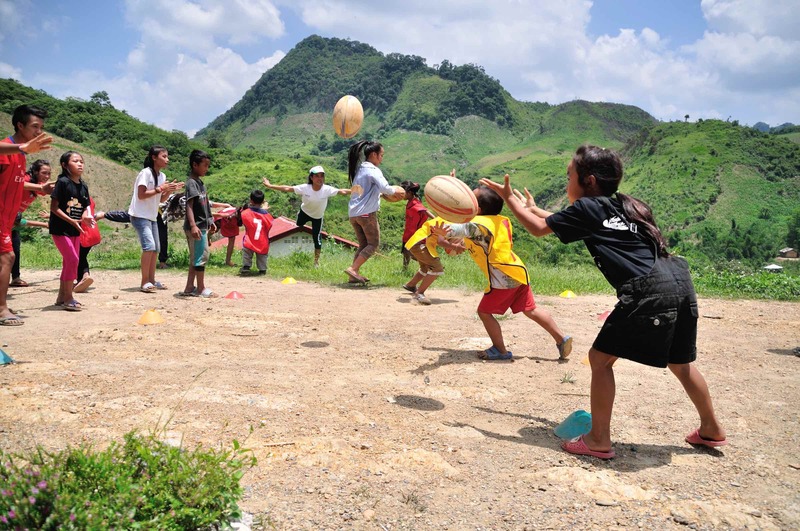 World Rugby and ChildFund have been working in partnership in recent years to deliver the successful ChildFund Pass It Back program. Both organisations are committed to ensuring that Rugby World Cup 2019 leaves a lasting legacy in Asia – to promote and develop the game of rugby in the region, and to build stronger communities. 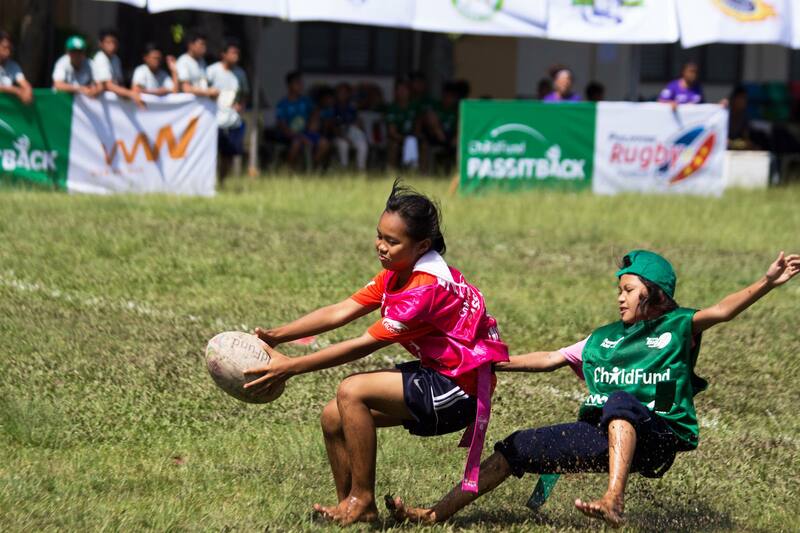 ChildFund Pass It Back is a key component of World Rugby’s Impact Beyond 2019 Programme. How will donated funds be used? Children and young people will also benefit from other (separately funded) ChildFund programs in areas such as education, healthcare and child protection. Program Code of Ethics: each member must establish clear and honest policies and procedures for monitoring and accountability to ensure programs are as effective as possible, with standards in place that guarantee that projects are focused on children and encourage the empowerment, training and involvement of the communities they help. Child Safeguarding Policy Guidelines: these set forth our core values and commitments to children in line with the United Nations Convention on the Rights of the Child. Fundraising Code of Ethics: these standards ensure efficiency, minimised administrative overheads, proper stewardship of funds and contributions, and complete accuracy and honesty in all fundraising activities, public statements and advertising. ChildFund Australia, which manages the ChildFund Pass It Back program, is a member of the Australia Council for International Development (ACFID) and a signatory to the ACFID Code of Conduct. The Code requires members to meet high standards of corporate governance, public accountability and financial management. As evidence of this accountability, ChildFund Australia is accredited by the Department of Foreign Affairs and Trade (DFAT) to receive government grants. Does ChildFund have a refund policy? disagreement by the donor with the nature of the programs provided by ChildFund. If it is agreed that a refund is to be made the donor will receive the refund within ten working days of the decision. Further information can be can found in our Complaints Policy. Rugby has been such an important part of my life so it’s incredible to see that children living in significant poverty are being given the same opportunity to play. The ChildFund Pass It Back program uses sport to drive social change, and to equip young people for the challenges they may face in the future. This is the true spirit of rugby. ChildFund Pass It Back is incredibly important for young people in developing communities because it brings together education and team sport. Learning through play is a really valuable way to build confidence and resilience. The most impressive thing about ChildFund Pass It Back for me is the enjoyment that I’ve seen in the kids taking part. It’s obviously adding so much to their communities and so much to their self-worth. This is a fantastic initiative helping thousands of children across Asia. It’s providing that rugby is so much more than just a game. It can help people through the toughest of times and put them on a new path. As a transformational rugby for good program, ChildFund Pass It Back is a perfect embodiment of how sport can inspire social change. 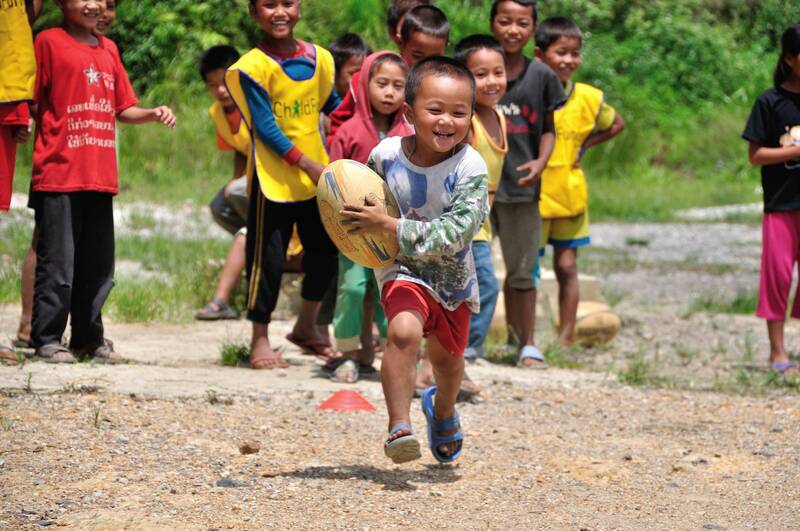 We are excited about the impact rugby can have for thousands of children within Asia, the world’s most populous and youthful continent. 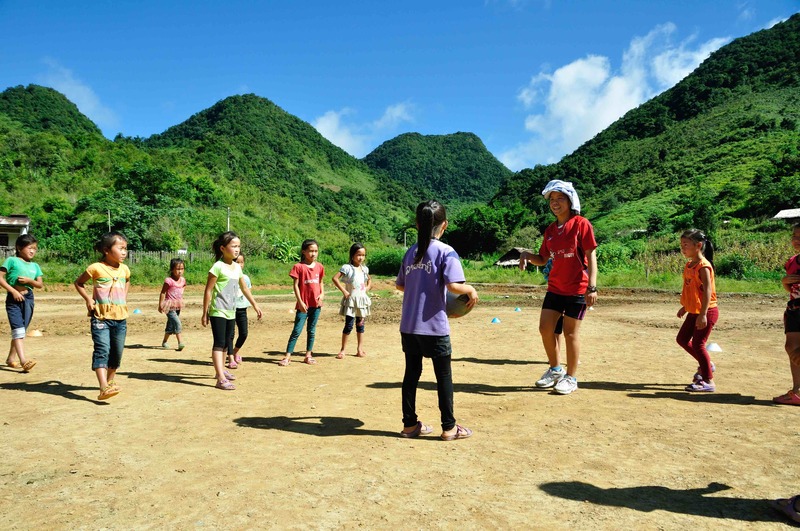 In Vietnam, children in rural areas do not have much chance to play like the kids in big cities. I bring something fun for them to play and I am happy with that. Coaches also share their own real life experiences to facilitate life-skills discussions. Ireland & @UlsterRugby captain @RoryBest2 has announced that he will retire from professional rugby after the #RWC2019 in Japan.